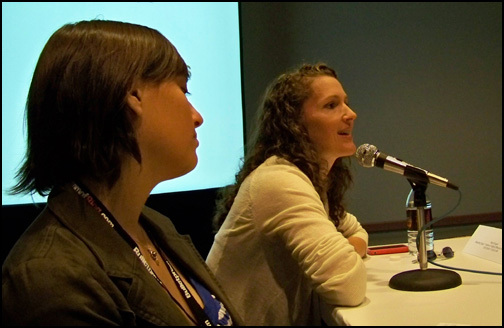 I’ve blogged about the 2 panels I participated in at Blog World Expo 2008 (here’s the one I was a panelist in and here’s the one I moderated). Thought you’d be interested in checking out some of the twitter feedback that we received on the 7 Habits panel I moderated. Thanks to Tom for both the pictures. 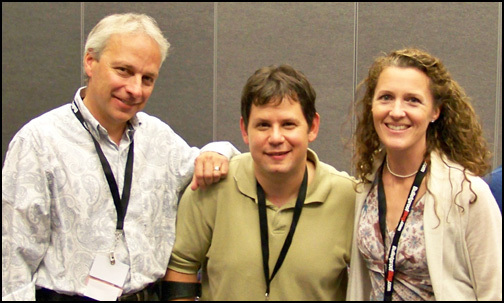 Once again, kudos to Nicki, Lionel, Carolyn and Tom for being a great panel. I think the tweets are far more descriptive. @marismith: Wow, just realized the corporate blogging panel room 227 is packed! Peeps sitting on the floor. @trishussey: Retweet @gwenbell: Dell, Yahoo!, Facebook, Kodak and LinkedIn corporate bloggers. Powerhouse session. @shaicoggins: is@ the 7 Habits of Highly Effective Business Blogs panel at #bwe08. Great insights in to corp communications fr Dell,Yahoo,Kodak& Facebook. @marismith: I’m diggin’ the chick from Yahoo blog http://ycorpblog.com/ <http://ycorpblog.com/> Nicki Dugan. Smart, confident, experienced, mature. I’ve been traveling ever since my last post. In New York the past couple of days at the World Business Forum after my Vegas trip (Blog World Expo). I’m also flying out to Portland tomorrow. So, expect reduced blogging over the weekend. Hey Mario – thanks for including my tweets. Terrific job on the Corporate blogging panel. Though neither myself nor most of my clients are corporate bloggers, I found the session very valuable to gain perspective on this arena. I was particularly interested in the Facebook gal though, given Facebook is my area of expertise. See you at #bwe09 if not before! Thanks for attending the panel and for your kind tweets!